Download Mobile Application Perspective Mockup Free PSD. 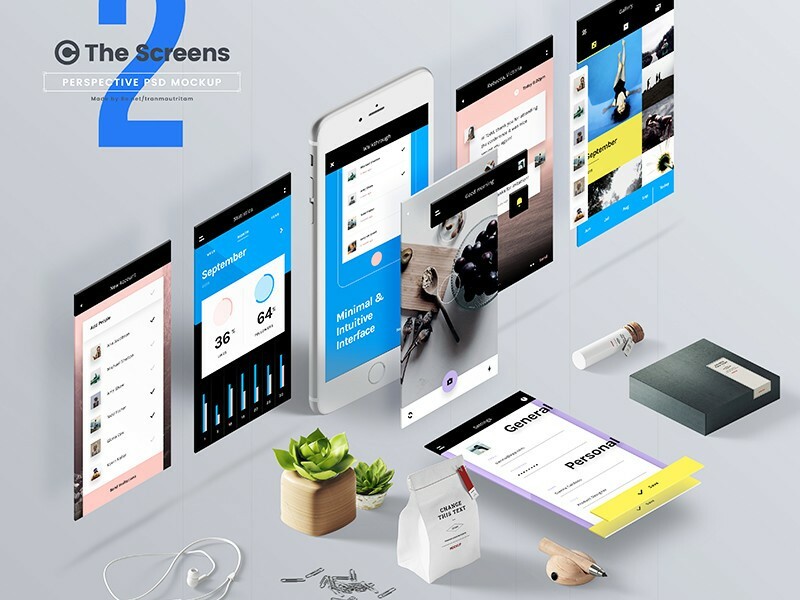 This Mobile Application Perspective Mockup psd will help you to showcase your mobile app screens in the modern style. There are also beautiful mockups you can use to display your mobile applications. You can easily add your designs elements with the smart objects in Adobe Photoshop. This Mobile Application Perspective Mockup psd is fully layered and editable with adjustable shadows and backgrounds. So use this Mobile Application Perspective Mockup for showcasing your work in unique way.. This Mobile Application Perspective Mockup PSD freebie makes your work easier and it uses smart objects. By changing the content of smart object with your design you will get your desired result in few seconds without worrying about placement and perspective. If you like you can download and use this Mobile Application Perspective Mockup Free PSD freely. Do not forget to Share if you found this helpful. All in all this Mobile Application Perspective Mockup PSD has a modern and elegant look. This layered PSD resources comes with Easy & customizable PSD file arranged in groups and named perfectly which can save the time to create your own mockups. You can modify this Mobile Application Perspective Mockup. However you are free to use this Free PSD in your personal and commercial projects. Anyway, hope this will help you benefit your project as well. Enjoy!